Ramadan is a holy month in Islam, during which the Muslims refer from drinking and eating, among other things, from dusk till dawn ( 4 AM to 7H30 PM in Morocco). 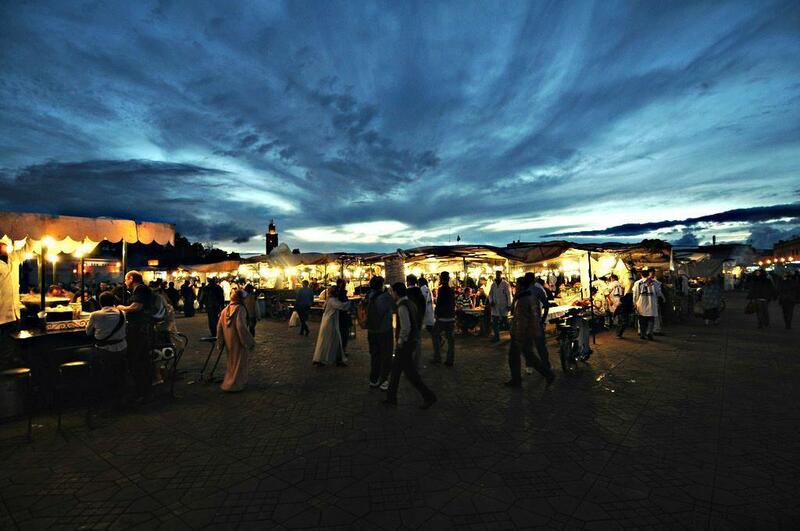 Morocco being a Muslim country, most Moroccans observe the fasting. In 2019, Ramadan will begin around 5 May and end around June 4, give or take one day. - many mosques have tables spread out to feed the hungry after prayers. In the markets and streets, special dishes are prepared during this time, some of which can’t be found during the rest of the year. - try and space out the itinerary. For example, if you needed 7 days for an itinerary around Morocco during the rest of the year, you should plan for 8-9 days to cover the same distance and areas during Ramadan. Naturally, the fact that most Morocco is observing Ramadan puts some stress on the logistics of a private tour. Nevertheless, May is a great time to be in Morocco and you shouldn’t miss the opportunity just because of it. You can browse through the reviews left by our previous guests over the years on the internet and see that they have thoroughly enjoyed Morocco even when Ramadan used to happen in July and August. If you have any further questions or you want to send us an enquiry, please use the form here.